Accepted in the OMWPA / My dream come true! / I had practiced like mad, / And did what I had to do. Dumbstruck! In awe! / At the Yehudi Menuhin School, / My Mecca, my heaven, / I must not play the fool. Attending a camp like this / I must take advantage of it, / No matter how hard it is, / I must not slack a bit. After breakfast, off to classes. / For Piano Mechanics or Improvisation, / Then either practice, play or one to one, / And a choice of the class of Composition. Professor Murray, Andrew and Mikhail, / Who are great and renowned professors, / And others including Mr Bobby Chen, / Who tough in all different courses. Thank you for the experience, / Thank you for the hospitality, / I am extremely grateful, / For it has truly enriched my music ability. "OMWPA was an experience that I'll never forget. The moment I entered the beautiful Yehudi Menuhin school grounds, I got an intense feeling of awe - a feeling that great people have walked these same grounds, and great things have happened here, including the very reason I was there. The program truly opened up my mind to all of the possibilities in music: composition, improvisation, chamber music, etc. 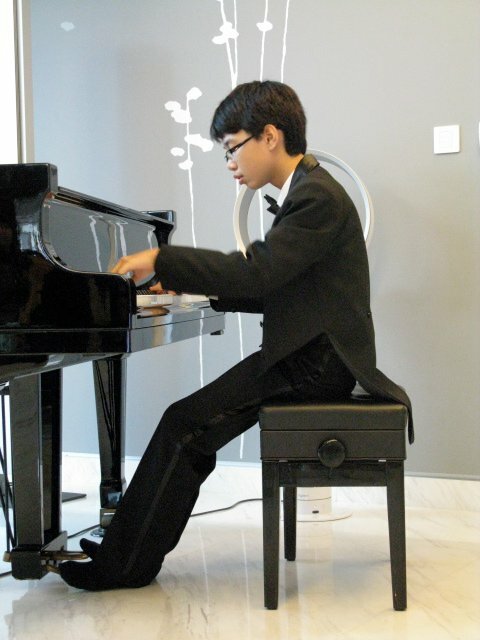 For example, I learnt how a modern day composer works and what sort of ideas I could apply to my own compositions. Improvisation class was beyond fun, pushing us all to new limits, challenging our musicality and teamwork. And, of course, the one-to-one lessons were highly helpful, the teachers showing me musical things that I’d never thought of before. The food was as healthy as Yehudi Menuhin himself. Some of us (though, admittedly, not too many) were in love with it, looking forward to each meal with glee and satisfaction. However, some of us resorted to maggi mee and bananas towards the end of the camp. This experience will surely last a lifetime for me. " There is too much thing to thank you for. Thank you for organizing the OMWPA. This school is nice by the way. We really had a very memorable time here learning stuff, playing with friends, playing board games, making snowman, composing, seeing concerts…I hope this lasts forever J! Bobby, you are the best teacher I have ever met. The way you demonstrated the Estampes really REALLY amazed me. That was the ‘funnest’ best, fantastic master class I’ve ever attended. We had so much fellowship during this 10 days. 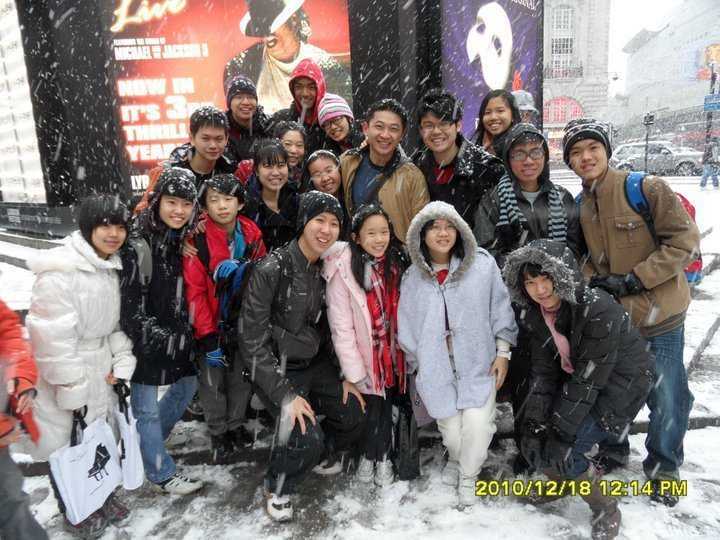 We improved a lot although we had only 3 hours the chamber music class. Improvisation & composition class was interesting and we learnt so much more that can’t be learnt in Malaysia. Bobby, please organize more of this programme. We appreciate every effort you’ve put in to this programme. Thank you for bringing happiness in our music life, this happiness just cannot be described by pencils and ink. Well, I cannot thank you enough. Learning from world class teachers and performers and getting to study at the Yehudi Menuhin School was a great honor. I thoroughly enjoyed OMWPA 2010. I made new friends and even gained new god-brothers and sisters (and Aunties and Uncles too!). 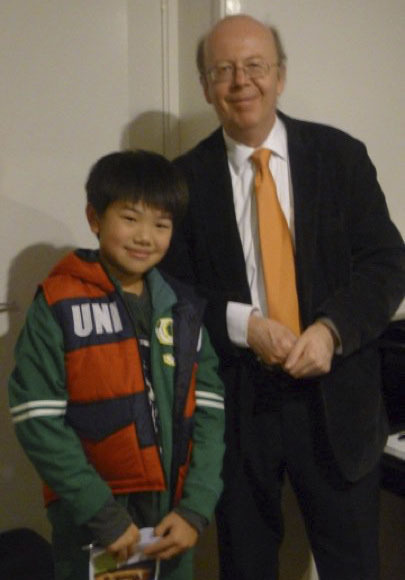 It is truly rare to have the chance to go to England to learn music with a bunch of piano-loving kids. 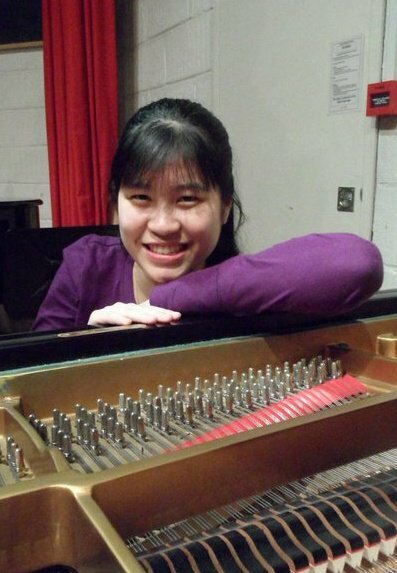 When will you have the chance to throw out a bad pun using Chopin’s famous etude and have somebody actually laugh true-heartedly with you instead of giving you the “Ermm, did you take your medication today?” face? When will you have the chance to go to a piano showroom and have everybody in the room take one piano and all play the same Beethoven Sonata at the same time? When will you get a chance to dance outside the Royal Albert Hall while squealing “We’re at the Royal Albert Hall!” with your friends? Only OMWPA can provide you with this once in a lifetime chance. OMWPA taught me to play and to appreciate music in a higher level and OMWPA also taught all of us the true meaning of friendship. OMWPA brought out the best in us. 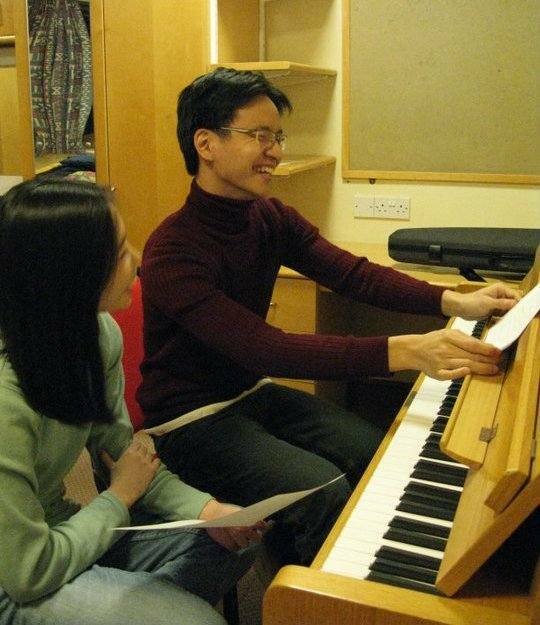 We learnt to live together, to practice together and to share the practice rooms and pianos. (Hey, keep your virtuostic-hands off the Steinway in the Music Block, people. That room’s still mine!) But most of all, OMWPA taught me that some experience lasts a lifetime. 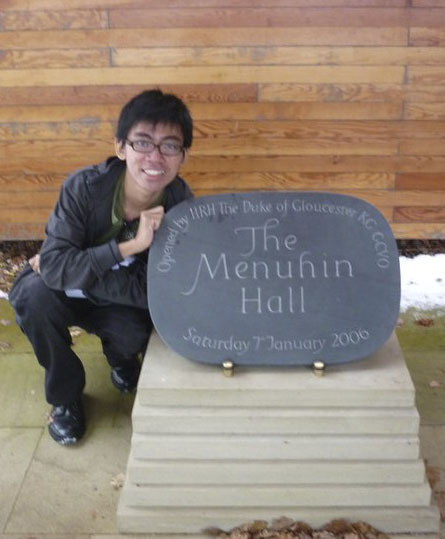 To the founder and father of the OMWPA, Bobby Chen: You were once given a chance to study at the Menuhin School in England. You didn’t need to choose us and give us the chance as well, but you did. And for this, you deserve a very long and low bow and a round of applause. I thank you, Bobby Chen, with all my hearts. Thank you. Shakespeare once wrote: If music be the food of love, play on’. Well, by golly am I starving! Next on the menu: OMWPA 2012! Mmmm! Bon A Petit! It’s impossible to sum up my OMWPA experience in just a few short words, simply because the whole experience was AWESOME!!! Set in perhaps the most prestigious music school in the world, with remarkably excellent teachers and a memorable programme that truly inspires; OMWPA in my own words is an amazing music programme! Each individual class is so special, because every teacher is wonderfully gifted and insightful. The teachers know how to train each student and bring out the best in his/her playing. All group classes are enjoyable! - from the fun and exciting chamber and improvisational classes, to the more serious composition teachings. 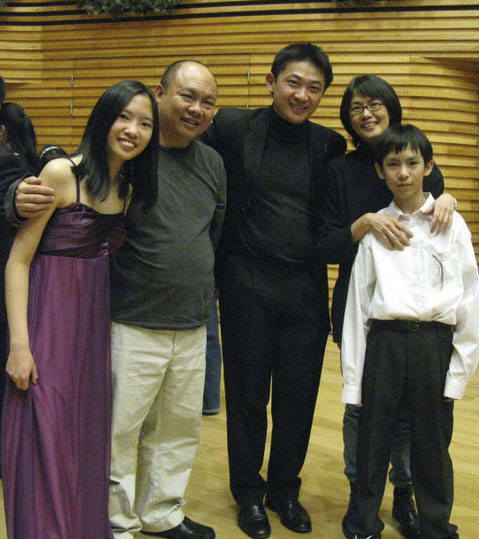 I benefited so much from all of them, particularly the composition & improvisation classes. Capping off each night were amazing performances by some of the teachers as well as guest artists invited by Bobby. All are exceptional and never dull; ranging from pure classical to modern and even improvisational. The programme builds to a gala concert, one of the more nerve-wrecking moments for the participants! 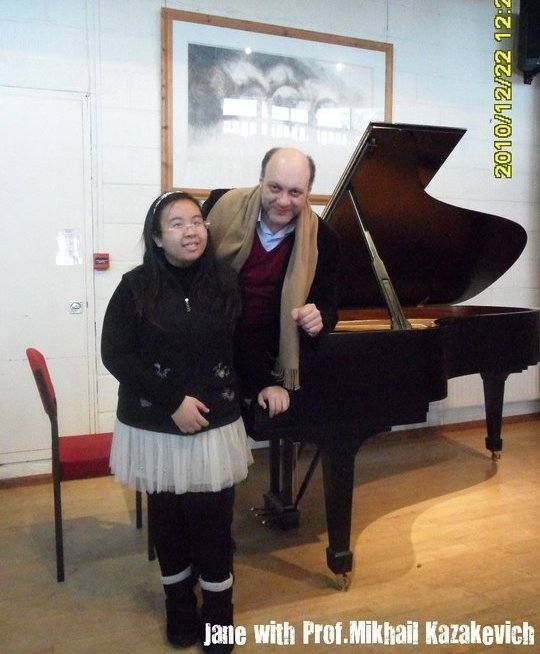 Each student worked really hard to prepare for that final grand performance, being given the opportunity to perform on a Fazioli at the Menuhin Hall. 2. Our day trip to the heart of London led us straight into the heart of winter, as it snowed heavily but beautifully. We travelled to Chappel, one of the most famous music stores on earth. The stop at HMV allowed us to pick up some really good music. At the end of the day, all of us witnessed what London had to offer in their performing arts. Some went to the Royal Albert Hall while others headed to the Royal Opera House; each having its own special performance. 3. The school environment is excellent; it fully prepares each student to immerse in the rich and exciting environment of great music. 4. The beautiful winter cold and snow; something I’ve never experienced before. All in all, OMWPA is an experience that certainly lasts a lifetime! The wonderful lessons and experiences shared with every new friend made, it makes it a truly fantastic music programme! Well OMWPA is musical expression at best! People get to involve and discuss music in a non-competitive environment, the instructors there are very keen in sharing and enlightening us, everyone is just there for the love of music! Not to mention the food there is wonderful, the variety of meals always kept my stomach full. We as local music students learn a lot thats for sure, our gratitude to Bobby for this rare opportunity, I am just one of the many enthusiastic participants of this unforgettable experience. OMWPA 2010 was beyond amazing! This experience has given me the opportunity to learn under some of the best musicians, meet others who are also passionate about music, and become a better musician. I had a tremendous time and would definitely do it all over again!"